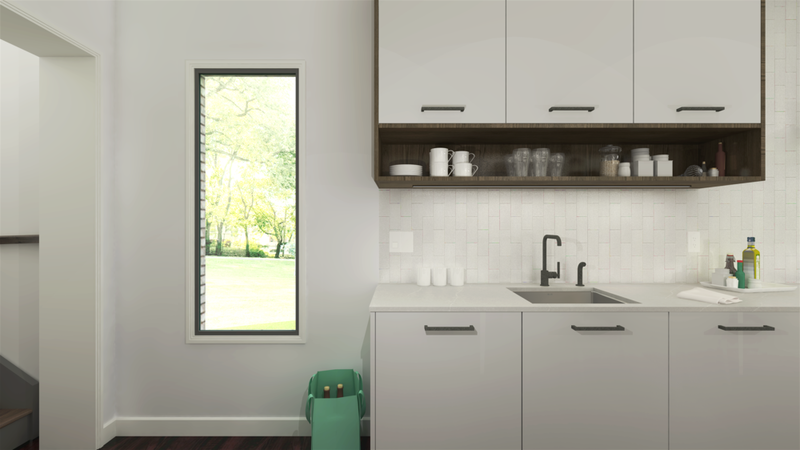 The new norm of kitchens: a place to cook, eat and socialize. Gone is the era when the kitchen was segregated from the formal living and dining room. The idea behind the metro kitchen was the creation of a multi-use space where everyone was comfortable but also a space that looked good. 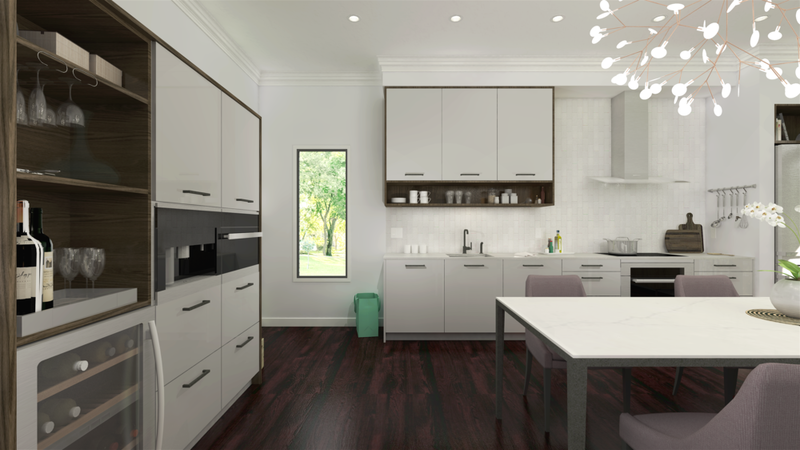 High gloss lacquer cabinetry in a light grey brought a contemporary touch while the contrasting dark walnut delivered richness and warmth. Lifestyle appliances including the wine fridge, coffee maker and steam oven were grouped together into a built-in unit since entertaining was a priority. To further emphasize the multi-use space, a black powder coated table was adorned with a quartz countertop to blur the lines between kitchen and dining room. A contemporary chandelier centered over the table added the right amount lighting and contributed to the chic style of the space.